I am finally ready to start writing about how much breast cancer has made an impact on my life. I kept a journal for seven and a half years writing monthly about what was happening around me after finding out I had breast cancer. There is so much work I have yet to do to like working with other patient advocates to see an end to this disease. You can also read a condensed version about my history with breast cancer in my blog. If you are reading this, you probably have had breast cancer, still have breast cancer, have a family history of breast cancer, or have been affected by the disease. If you’re a survivor, you know this disease is not just a sea of beautiful pink. I wish it were because I love the color pink. It’s such a happy color. In this blog I am not going to get in to the “pink-washing” of breast cancer, but anyone touched by the disease knows it’s not a pretty picture. I was fortunate in joining the National Breast Cancer Coalition (NBCC) and if you haven’t heard about them you should go to http://www.stopbreastcancer.org (after you read my blog), and see what they are all about. I am so inspired by the president Fran Visco and her vision of seeing an end to breast cancer by 2020. The NBCC also realizes that to help eradicate breast cancer, patient advocates need to be well educated about the disease. The NBCC has special classes to train new advocates. I am proud to say that I am a LEAD Graduate where I learned so much from incredibly well-respected doctors in the medical community and speakers including people who work at the National Cancer Institute. In 2011, I took the Project LEAD Workshop which consisted of six days learning about he science of breast cancer, Rna, DNA, assays, statistics, pathology, chemo regimens, injecting mice with breast cancer, fat glands, clinical trials, radiation, advocacy, how the news gets it wrong, what is myth and what is fact, the future of breast cancer, the Artemis Project, (where scientists, doctors, researchers, and patient advocates are working on a vaccine to prevent breast cancer), genetics, types of breast cancer, tests, questioning what you read or hear about breast cancer, health care, advocacy, and so much more. They gave us thick notebooks of articles, abstracts, definitions, copies of slide presentations, and more paper to take notes. It was so exciting to speak after the lectures with people like Dr. Diane Palmieri from the National Cancer Institute and be able to talk to someone who is working in the lab to help end breast cancer since I have been physically going through treatment of the disease. We even had a visit from Dr. Susan Love who wrote “Dr Susan Loves Breast Book” which most breast cancer survivors consider the Breast Cancer Bible. She is fascinating to speak with and she is so knowledgeable about breast cancer. The NBCC helped me to become an educated advocate learning as much as possible about breast cancer. As a result I attended the Asco Breast Cancer Symposium and two San Antonio Breast Cancer Symposiums where leading doctors in the field talk about the science of breast cancer, clinical trials, abstracts, patient cases, and so much more. I was also able to go to Washington DC two years in a row with the NBCC to meet with congressional members from my state, to get money appropriated by the Department of Defense, and sign a congressional letter talking about ending breast cancer in 2020. I will talk about this in much more detail in another blog. Because I have had breast cancer, know other breast cancer survivors, watched my best friend die of breast cancer, have other friends who are either going through primary treatment or have breast cancer that has metastasized, I am passionate about making advocates4breastcancer.org an organization that will help current patient’s lives and help bring an end to breast cancer. 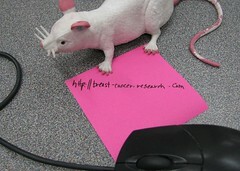 To increase our visibility to other breast cancer patients and advocates, we are in the process of developing a web site named advocatess4breastcancer.org or a4bc.org. Watching special friends who are experiencing breast cancer that has metastasized (or mets as we call it, which means the cancer has spread to other parts of their bodies), is very difficult. These are the people we want to help as much as we can. The deadline is too late for them. All they have are toxic chemo drugs that can for a time slow the spread of the disease and possibly even get rid of tumors, but once the cancer has spread it most likely will come back. Our non-profit is devoted to making sure that they are not “the forgotten ones”. At this time no one knows how to reverse mets, nor how to destroy mets so they do not return. Yes, some chemo drugs can shrink tumors and they can hold them at bay, but they can’t erase them forever without them coming back. Our goal is to do everything in our power to help discover and fund research that can destroy mets permanently and end breast cancer. To read more about the organization, please click on the “About Us” tab.